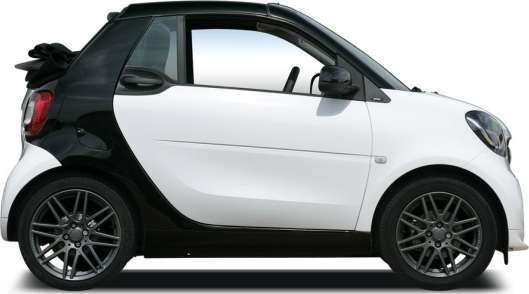 Compare brand new Smart Fortwo Cabrio Special Editions lease deals! All Fortwo Cabrio Special Editions deals include delivery, road tax and a full manufacturer’s warranty. We collect the best Smart leasing pricing from across the industry, saving you time and money. Select a trim below to get started. Which Smart Fortwo Cabrio Special Editions Trim Should I Choose? The third generation smart fortwo has answered many of the criticisms of the first two models. While many would still prefer a four seater (there's the forfour model for that), you could argue an open-topped version of the fortwo makes more sense. Could this be the cheapest new cabrio currently available? Here you can view the pricing history for the Smart Fortwo Cabrio Special Editions on LeaseFetcher. How often should I get the Fortwo Cabrio Special Editions serviced? Smart recommends you arrange a service every 12 months or 12,500 miles , whichever comes first . How long is the warranty on the Fortwo Cabrio Special Editions? What is the fastest Fortwo Cabrio Special Editions option? The Fortwo Cabrio Special Editions 60kW EQ Edition Nightsky 2dr Auto 17.6kWh 22kWch is the fastest trim. It will go from 0-62mph in just 11.8s and has a top speed of 81mph. What is the most fuel efficient Fortwo Cabrio Special Editions option? The Fortwo Cabrio Special Editions 60kW EQ Edition Nightsky 2dr Auto 17.6kWh 22kWch is the most fuel efficient trim. In urban environments, it will achieve 0mpg and on the highway it will achieve 0mpg . Its combined fuel efficiency is 0mpg. What is the most eco-friendly Fortwo Cabrio Special Editions option? The Fortwo Cabrio Special Editions 60kW EQ Edition Nightsky 2dr Auto 17.6kWh 22kWch is the most eco-friendly. It emits just 0g/km of CO2. What is the cheapest Fortwo Cabrio Special Editions option? The Fortwo Cabrio Special Editions is the cheapest to lease. It costs just £363.01 per month with an initial payment of £4,356.12. That's for a 4 year deal with 8,000 miles.